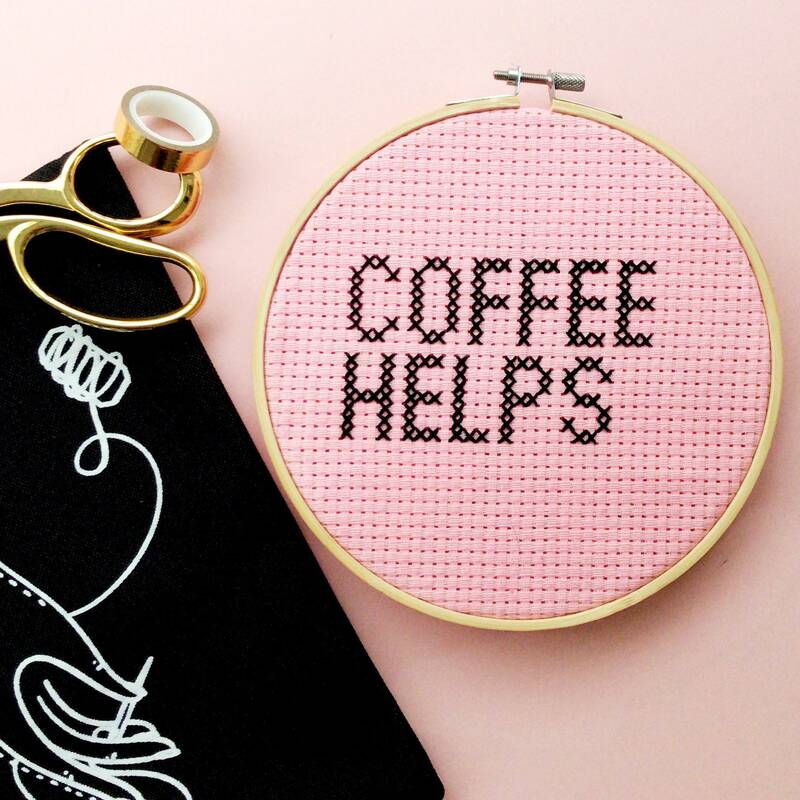 This completed cross stitch is perfect for the coffee lovers out there...if you know, you know! • The finished piece comes framed in a 7inch embroidery hoop ready to display. • Black anchor thread on warm pink fabric. 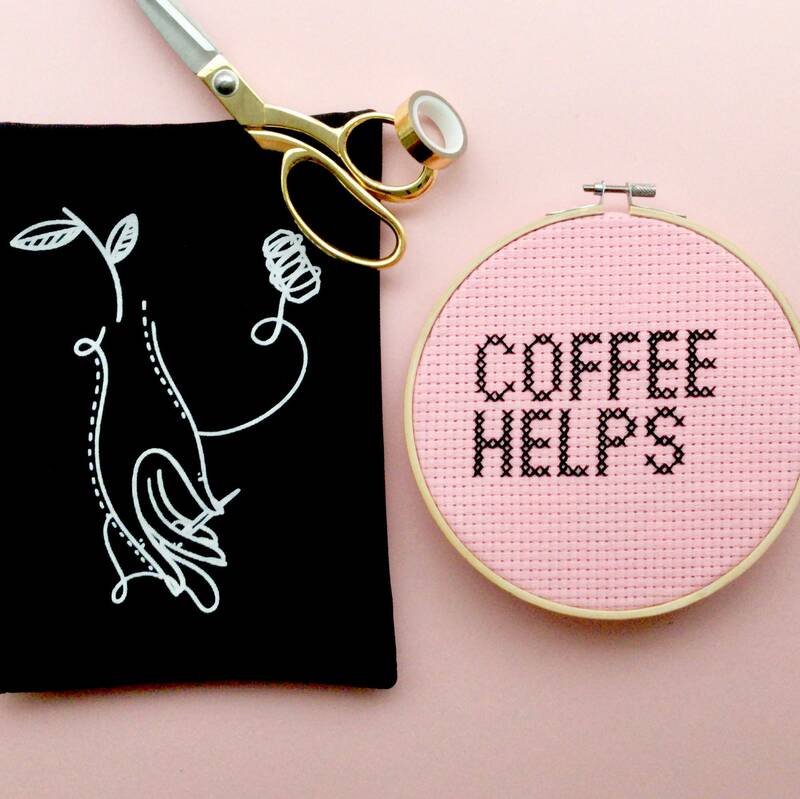 This would make the perfect gift for a coffee-loving mate - or just a treat for yourself.